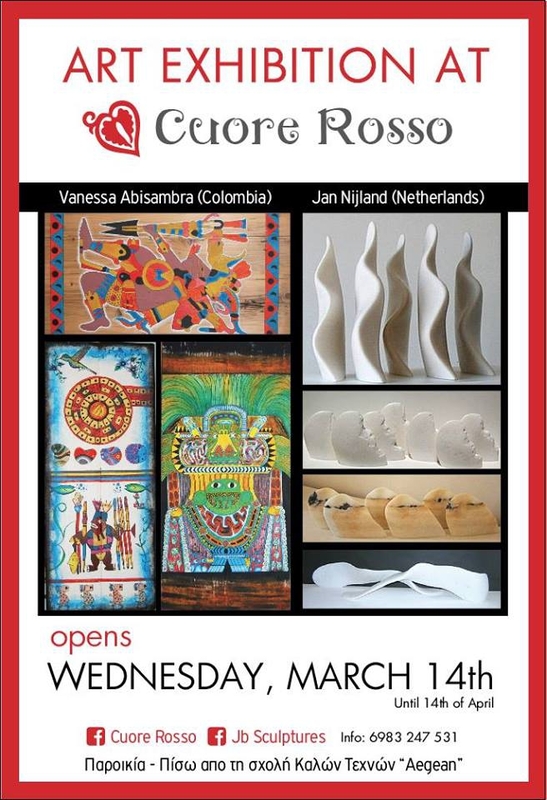 Paintings & Marble Sculptures Exhibition from 14 March - 14 April at ' Cuore Rosso ' restaurant, behind ' Aegean ' art school. Paroikia, market street. Paintings from Colombian artist, Vanessa Abisambra who lives many years on Paros. Vanessa uses brigh colours which are emotive to South-American art, on different supports as wood, walls, doors, canvas.